If you’re someone that loves to decorate for the holidays, then you probably love to decorate your blog as well. 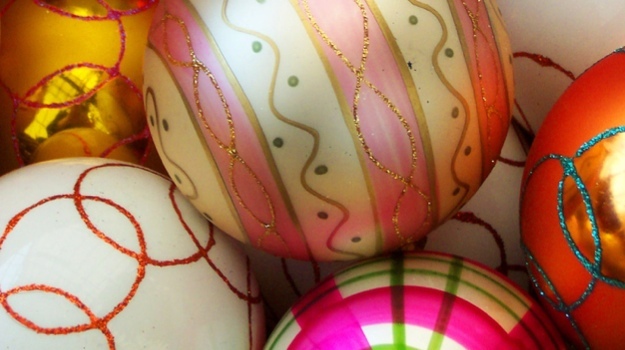 Luckily, there are some great, festive WordPress themes that you can use. So, what kind of WordPress themes do we have available for us to use this Christmas? 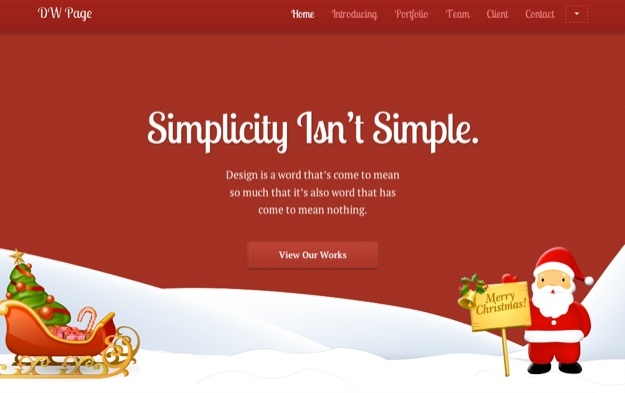 Let’s take a look at 6 WordPress themes that are sure to put you and your visitors in the Christmas spirit. The Victorian Xmas theme definitely isn’t for everyone. The fruity, flowered border on the left and right side of the page gives it a feminine feel. The red, green, and gold colors scream, “Merry Christmas!” Are the colors along with the various designs a bit too much? You be the judge! 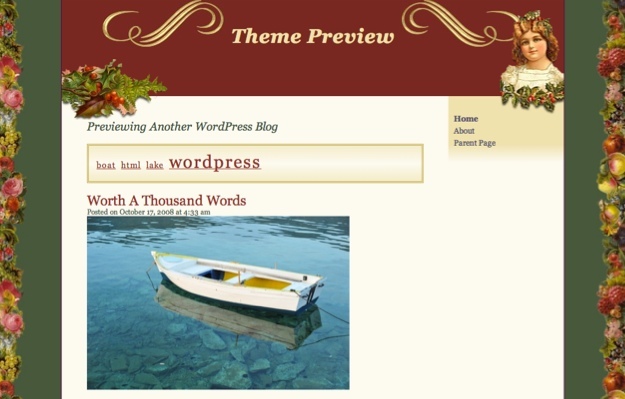 Don’t let the name of this theme fool you, Kiddo is an awesome WordPress theme. It’s perfect for any kids-themed blog. 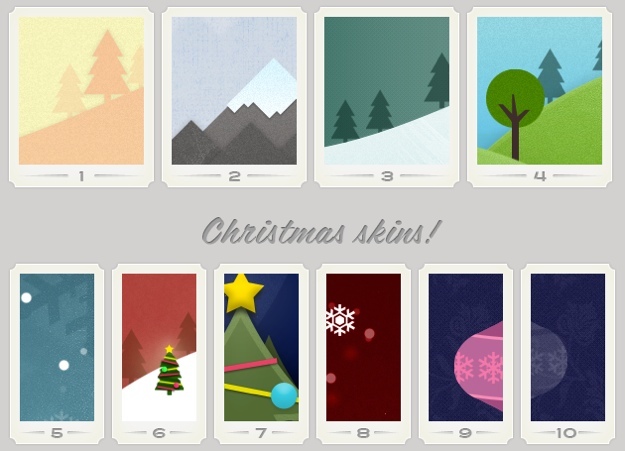 Plus it includes numerous skins – including 6 Christmas skins. With Kiddo, you can have a different look each year or each week; the choice is yours. There are many other great features as well like a theme options panel, custom widgets, and two different types of image sliders. 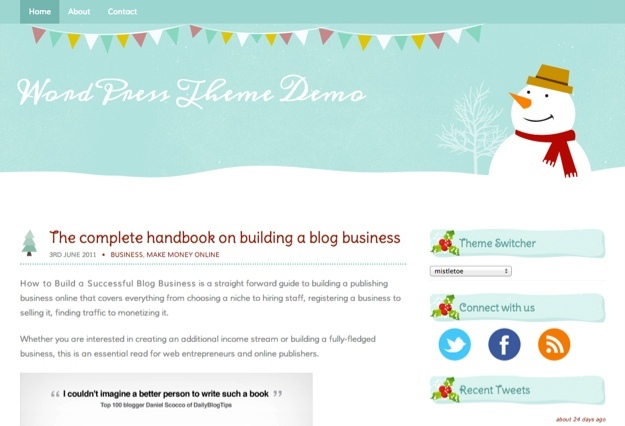 Mistletoe is a gorgeous, modern responsive WordPress theme. It, of course, features mistletoe accents along with a cute little snowman. The mistletoe sidebar headers are subtle enough so that you can get away with using this theme all winter long. It also includes many other great features like custom widgets, page templates, and a featured slider. DW Page is a powerful theme, much like Kiddo (mentioned above). DW Page includes 6 child themes, one of which is a simple and beautiful Christmas theme. Santa will greet your visitors with a “Merry Christmas” sign, along with his sleigh. Sadly, the reindeer seem to be missing in action. At any rate, DW Page includes a custom landing page, custom 404 error page, navigation with smooth transition, and much more. Who doesn’t love a Winter Wonderland? With the Xmas theme, you get just that! Even though it’s a simple WordPress theme, the beautifully detailed header will truly stand out to your visitors. Unfortunately, Xmas is not responsive, but the festive colors and accents make up for it. Don’t you think? Christmas Days has been around a few years, but it’s still a rather stylish Christmas theme. The sky blue background color may not be the best choice, but it’s an easy fix if you know a thing or two about CSS. The light touch of snow and mistletoe are a nice addition. This is a great theme for those looking for extreme simplicity. As an added bonus, I wanted to add in the Merry Christmas theme. It’s another “oldie, but goodie.” It features animated snow falling – not too much, but just enough to give it a nice wintery feel. If you are a night person you’ll love the header, which features a dark sky with a moon and stars. You’ll also see that Santa is staring at you from the side of the “Merry Christmas” logo. 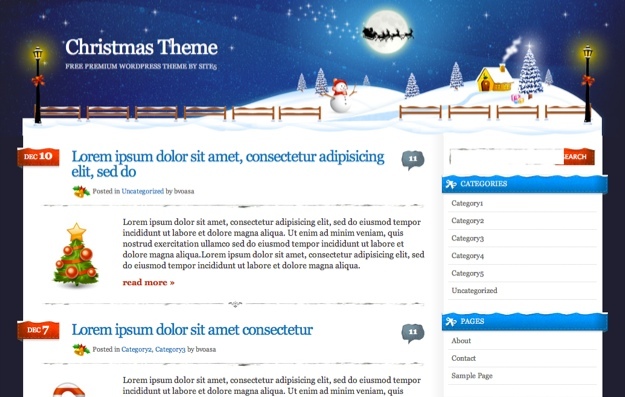 What’s your favorite WordPress theme for Christmas? 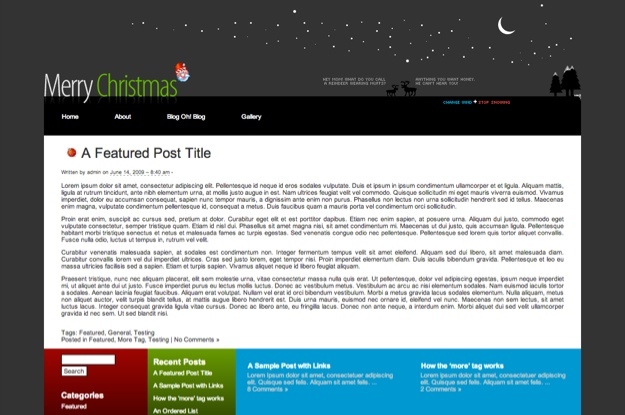 Do you change your theme for the holidays or do you use a WordPress plugin to add a touch of Christmas to your blog? Next blogpost:TablePress: The New Best WordPress Table Plugin? Thanks for sharing the beautiful Christmas themes. I have tried some of them and the last one Merry Christmas theme have a very good result. The animated snow makes it so much better! Thank you for sharing these nice themes. 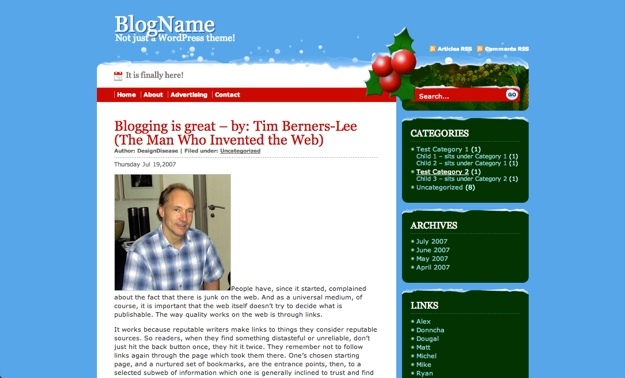 I am looking for a new theme for my blog about christmas. I do really like Merry Christmas.